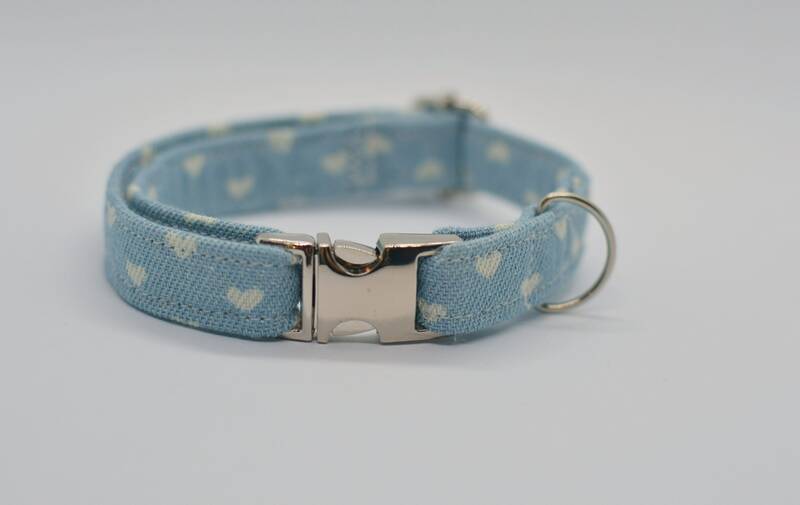 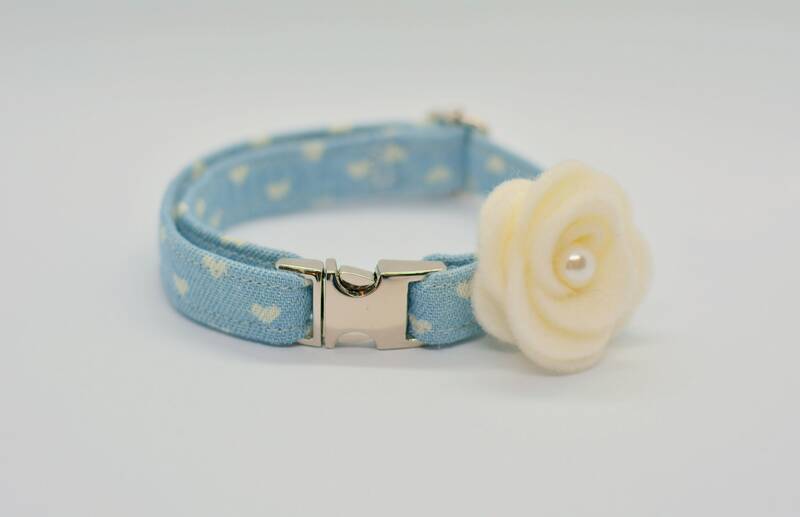 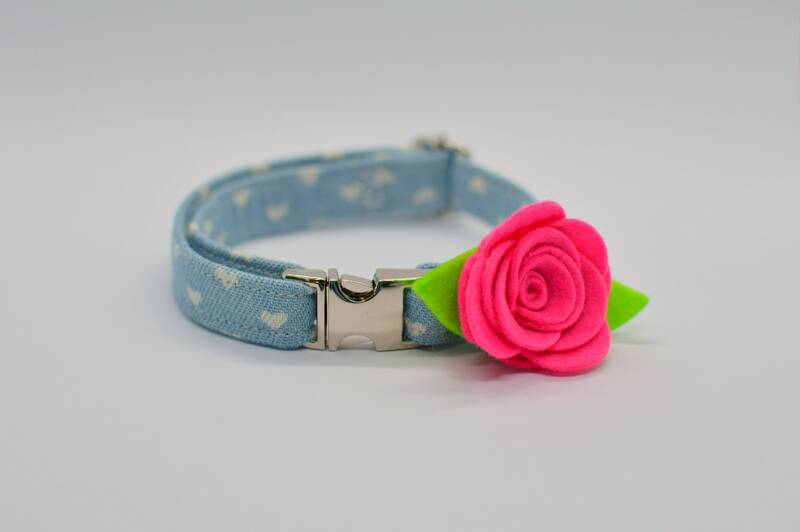 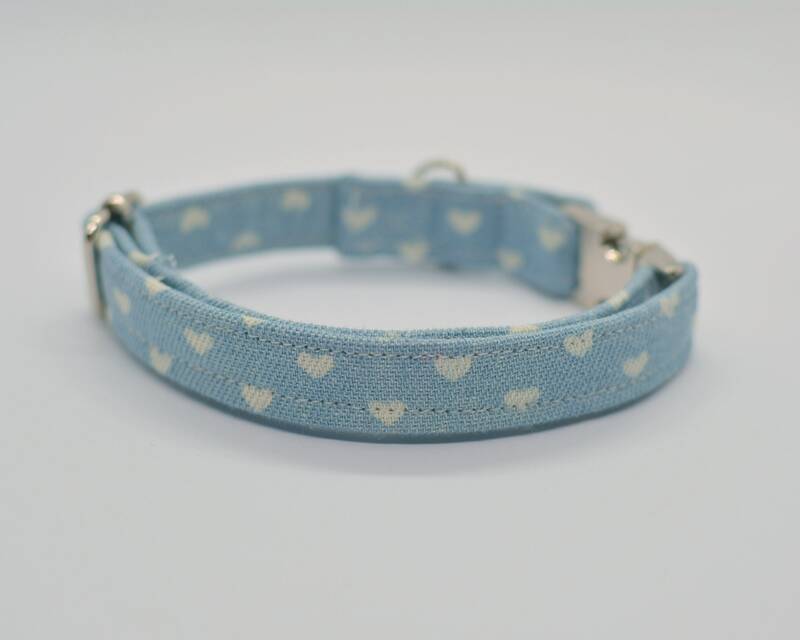 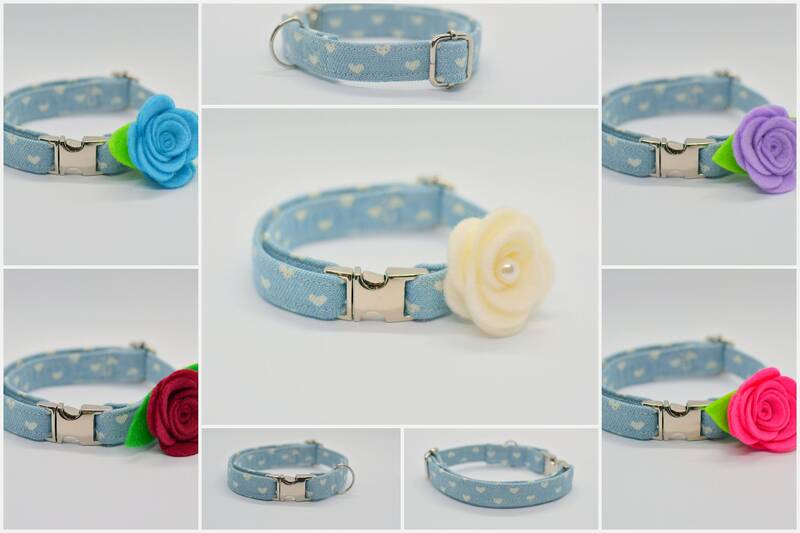 Beautiful pale blue jeans collar with tiny white hearts for adult cats and small toy dogs. 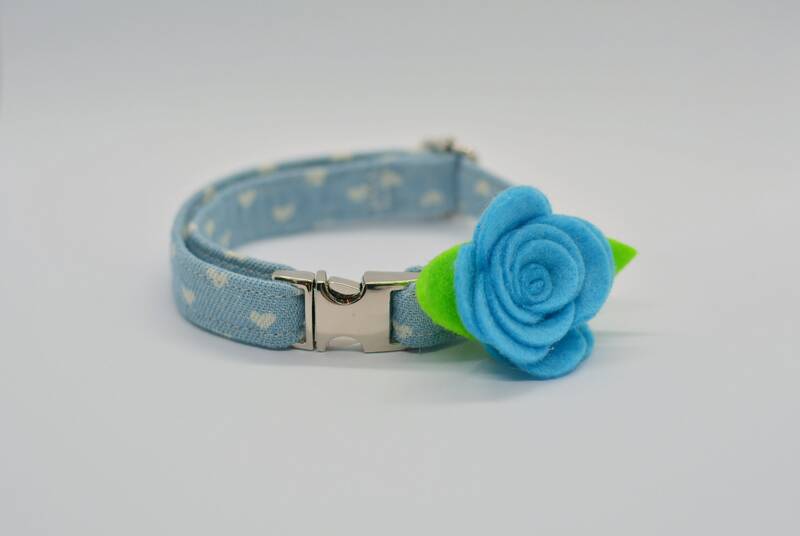 Made from quality jeans-cotton fabric. 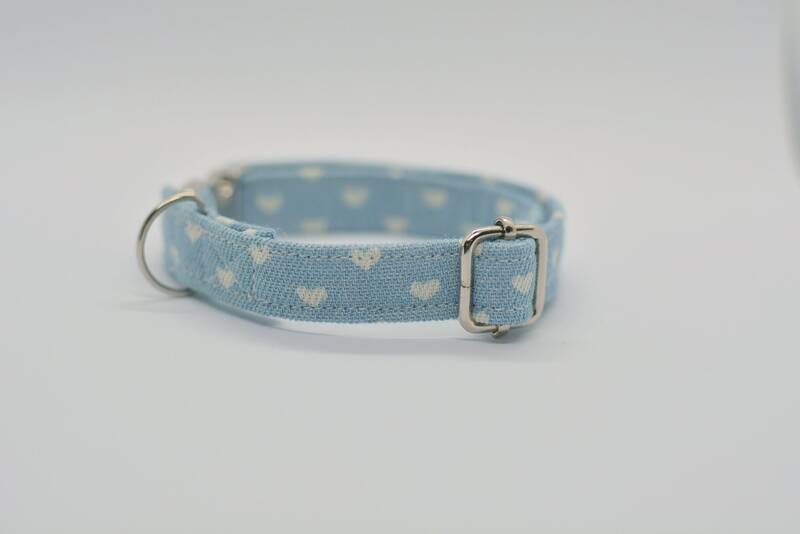 A collar with a NON-breakaway (lightweight) silver buckle. 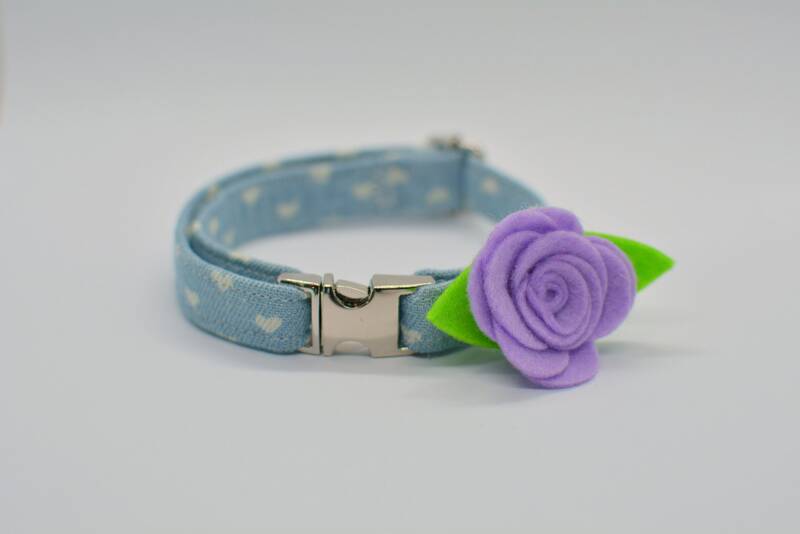 Silver colour length regulator (slider) + D-ring. 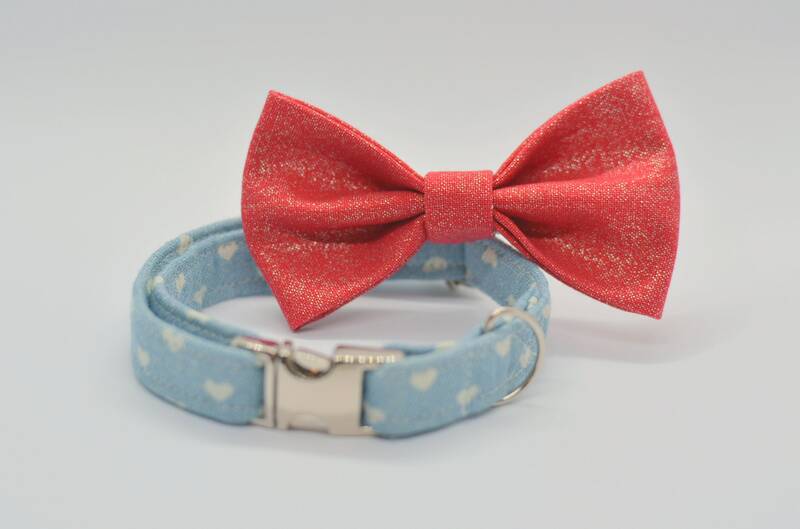 This collar can also be purchased with a bow tie (red glittery or banana 8.5cm) or a rose felt flower (3.8cm). 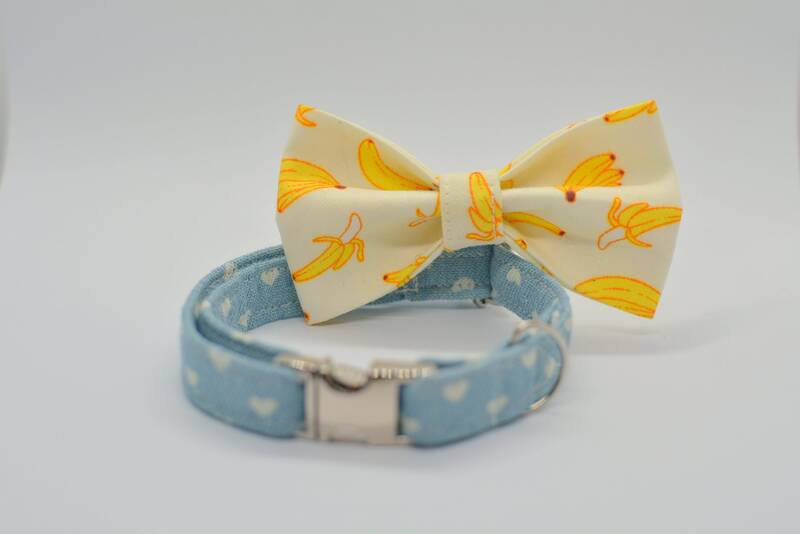 -> Not suitable for tiny kittens.